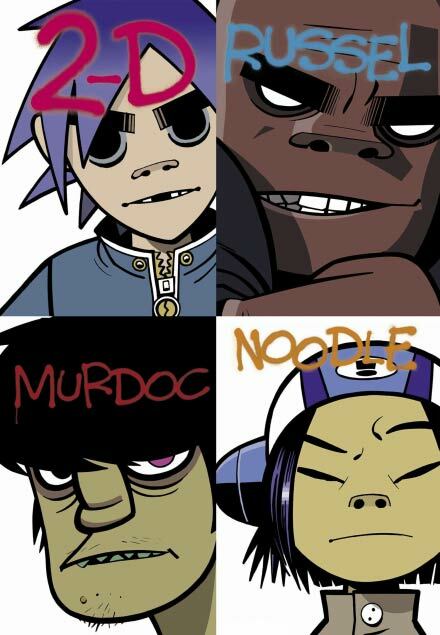 Gorillaz is a virtual cartoon-character based hip-hop band created by Damon Albarn (of Blur aka arch nemesis of Oasis) and Jamie Hewlett who I think created Tank Girl (which I never saw or read). It’s very infectious. Sort of Buena Vista Social Club meets Mingus Dynasty Band meets Bootsy Collins if I may be so bold. This is very groovy music to listen to in a club. Particularly if you are love with a boy and wondering how your life is going to turn out. Between the tripped out music and the indifferent vocals, it’s practically French. Frankly, I love it but as I think about Coachella, I come back to the idea of standing through an entire set. Here’s the truth, I sit a lot when I write, but the rest of the time I’m on my feet. In fact, I am constantly on my feet; undoing the dishawasher, going to the supermarket, straightening up, cooking, etc. Honestly, I rarely get any time to sit (pull out the violins now). I’m wondering if I could lobby for some sort of seating section. Either way Gorillaz feels me with hope. I love the song New Genius it’s very groovy — and I like the idea of the narrative involving cartoon character band members (who I think all die or something). I was just telling my son the other day about how I couldn’t remember the last time a band made an album that had true narrative drive. One that was more of a theatrical production (i.e. Pink Floyd’s The Wall or The Who’s Tommy) than just an album. It’s almost as if I have found the one thing I can latch onto at Coachella. I would love to know if all these aging musicans get tired of standing through their sets. I’d also be curious to know if Gwen Stefani’s husband undoes the dishwasher without being nagged. And frankly, Damon Albarn is so laid back (and so cute I might add) I wonder how he’ll even be able to stay on his feet for an entire set! I have a theory that the whole Gorillaz cartoon thing was just so the band could play behind a screen — thus enabling the 41-year-old Albarn to lay down periodically. Verdict: Yes, I will be checking out Gorillaz, although I may be prone while doing it. Next: The trouble with dancing i.e. a re-definition of happiness and some new words I have learned this week; and Trivial Pursuit.